A Wu Lou (Lagenaria siceraria) also known as Calabash, Gourd or “giver of life” is a fruit and when dried was used to store medicine or water, cousin of the argentine mate or calabash the bottle gourd is one of humankind's first domesticated plants, providing food, medicine and a wide variety of utensils and musical instruments. Traditionally used In Classic Feng Shui to cure the negative influence of stars #2 (illness) and #5 ( destruction). Like a wind chimes, is one of the most significant tools to cure and reduce the negative influence of those negative stars .In a way is one of the most powerful symbols of health and longevity. The Wu Lou is represented in many deities like Kuan Yin holding a Vu lou in her hand pointing it down giving life to those who are sick and suffer, or in the 3 lucky Starts Fuk, Luk and Sau. Buddha carrying one attached to his belt. If we look at a few saints from the Catholic Church we see el Santo Niño de Atocha, San Onofrio and San Rafael archangel carrying a Vo Lou too. According to history in ancient time’s Chinese use gourds as water or wine containers to fulfill their journeys and keep them alive. 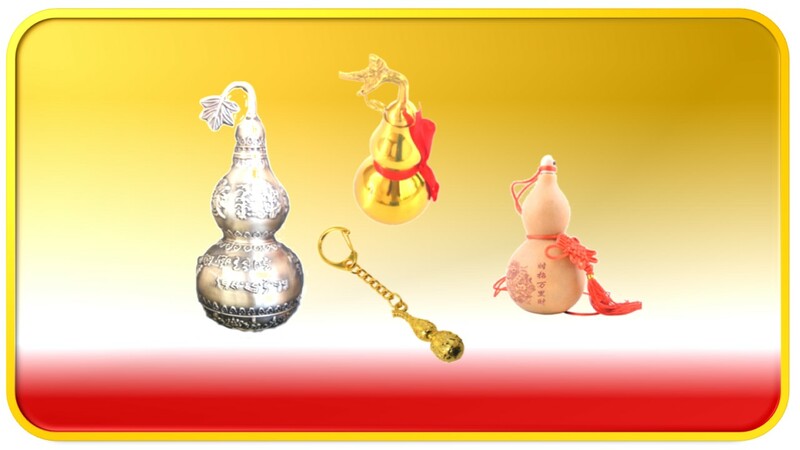 But also, was used by the ancient Chinese doctors to store medicine and liquid preparation so they were more commonly known as the “giver of life” and were placed beside the bed of a sick person to improve health and good luck. Taoist monks even use the Wu Lou to absorb bad evil spirits into it for imprisonment. Therefore, Wu Lou has the potency to absorb bad chi. The shape of the Wu Lou is also a representation of heaven and earth united together: the top half is heaven and the bottom, earth and when used by human, is the perfect combination of heaven, earth and mankind. Its shape was replicated into brass and iron as a powerful Feng Shui remedy as metal weakens bad earth and therefore it is used to absorb the negative energy of the 2 & 5. They are an extremely powerful traditional and authentic remedy.